WHS, do we need training now? I hope you can assist me in the following? our construction site plumbers (NSW) are required to use oxy / acetelene, therefore they must have a serviced & suitable fire extinguisher in close proximity to their working area. I am trying to arrange for our plumbing employees to partake in regular (say, every 6 months) training in the use of fire extinguishers. However, in order to make this request to our company’s management. I have been searching the Act / Regulation / Codes of Practice and some Australian Standards for documented sections that relates to the requirement of workers having this training. I believe, if a worker is required to have a extinguisher… Then it is manadatory for that worker to be train in the use of that extinguisher. Can you help? Do you have any reference material that I can use for highlighting my intentions to our management? Thanks for your question. It has taken a while to answer your query as we have had to work in consultation with Workcover NSW to ensure the definitive answer reached was supported by the legislation you are bound by and the authority which upholds that legislation. As you are well aware all laws are open to interpretation, it is simply not possible to cover every single scenario in life (or the work force) and create a specific set of laws for every possible circumstance. The answer to your question unfortunately is not simple so please bear with me as I explain. The new nationally harmonised WHS laws are, harmonised nationally, this means they are the same in each state but this does not mean it is a federal law. WHS will continue to be governed by each individual state or territory however the laws will be the same barring a few minor jurisdictional items. This is why the laws are operational in some states and not yet in others. Some states are lagging as the harmonisation laws mean quite big changes to policies, process, procedures and a skyrocketing of penalties for those who don’t comply; this is the case in states such as SA and the reason why the SA State Government is yet to pass the new laws. Qld previously upheld some of the most complex OHS laws in Australia and has the highest penalties for noncompliance, changing from OHS to WHS has been a minor transition and the laws were passed on January 1, 2012. This history is important when answering your question as we need to be sure which law your state/business is currently operating under. The new WHS laws have a few major changes to them and one of them may affect your decisions. The draft legislation was passed as an Act (law) in NSW on January 1, 2012. There have been some major changes under WHS and two of the biggest effect your question. The term ‘Employer’ has been discarded in favour of PCBU (Person Conducting a Business or Undertaking) and ‘Employee’ has been shelved in favour of ‘Worker’. The term PCBU is a little misleading as it does not refer to an individual as much as it does a business entity (unless the business is a sole trader). For example the New South Wales Police Force is a PCBU but not an actual person. Worker refers to anyone who conducts a type of work and this now includes volunteers, temp staff, agency staff & students on work experience in addition to paid workers. PCBU’s will now be responsible for ensuring there is enough safety staff, equipment & training to meet the needs of all workers at any given time. For example a retailer which normally has 3 staff but can swell up to 20 with Christmas casuals is required to ensure there is enough trained personnel and safety equipment to meet the needs of 20 employees, no matter how short the employment term or type. The other big change to WHS relates to building and construction sites. In the past each individual company on a site was responsible for their own staff, their own safety and their own equipment. Now the head contractor on each site becomes the PCBU in terms of safety and all subcontracted companies effectively become workers under WHS – this means if the head contractor on a site is Company A, and TRIPLE-M are contracted to undertake a portion of the work, Company A is responsible for your safety and ensuring the correct equipment and trained staff are available. The same applies if you are undertaking maintenance or shut down work at another company premises; under WHS they are considered the PCBU and you the worker. But wait . . . . It’s not that simple, it’s safety. There are two other parties which may determine whether or not training is required – that’s right parties, not laws. The reason I mention this is because many large companies which regularly use subcontracted staff or trades, just like Company C, are expected to follow suit. You may soon find yourselves unwelcome on building sites without current Apply First Aid, Warden and Extinguisher qualifications. Party 2 – Your insurance company, the large underwriters have been monitoring the progress of WHS in the test state of Qld, in particular when it comes to fire safety. They are well aware of the laws and for some time have been requiring companies in other states to provide evidence of training to obtain insurance before it has legally been a requirement. It is not unusual for an insurer to require more than the legal minimum in terms of safety from a client based on a risk assessment. Irrespective of what you are required to do under WHS, as a bare minimum you should be clarifying the need for training with your professional indemnity and public liability insurers. There are several different regulations, acts and standards that must be reviewed in order to assess whether or not training is required. Not every possible scenario for every specific task can be covered in a a document which is approximately 720 pages long and the new act does not like to repeat itself, so you will see a lot of clauses which are only 1 line long and say (see clause ? 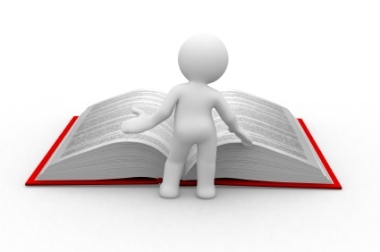 )In lay terms it means you need to apply the same principles outlines in the clause quoted to the subject heading. A person conducting a business or undertaking must manage risks associated with the carrying out of construction work in accordance with Part 3.1. Note. WHS Act—section 19 (see clause 9). (1) This clause applies if it is not reasonably practicable for a duty holder to eliminate risks to health and safety. (2) A duty holder, in minimising risks to health and safety, must implement risk control measures in accordance with this clause. (4) If a risk then remains, the duty holder must minimise the remaining risk, so far as is reasonably practicable, by implementing administrative controls. (5) If a risk then remains, the duty holder must minimise the remaining risk, so far as is reasonably practicable, by ensuring the provision and use of suitable personal protective equipment. Note. A combination of the controls set out in this clause may be used to minimise risks, so far as is reasonably practicable, if a single control is not sufficient for the purpose. (1) This clause applies for the purposes of section 19 of the Act to a person conducting a business or undertaking. (c) the control measures implemented. Therefore the answer is yes, extinguisher training must be provided to your plumbers under the NSW WHS Regulations 2011. The question we ask now is how much training and when? AS3745-2010 is the standard which outlines the type and frequency of ‘fire’ training which is required. Section 6.5.3 First-attack firefighting (extinguisher training) states; these occupants shall attend a skills retention activity in First-attack firefighting at intervals not greater than 2 years. AS37454-2010 outlines the need for, and responsibilities of, wardens, emergency response skills training & general occupant training among other things. This simple question is far more complicated than even I first imaged so I will address the other issues which have been raised in a private email. What I will conclude with is a responsibility that lies with the lead contractor on sites your staff are working at, in the case of construction the lead contractor has the same responsibilities as a PCBU and under AS3745-2010, Section 6.4.1 General Occupant Training in summary it states; PCBU’s are required to provide general training to all occupants (meaning casuals, employees, subcontractors, volunteers and others covered under the WHS term ‘worker’) at the commencement of their duties at a workplace or structure and a skills retention activity should be provided at intervals not greater than 12 months. This means that every time your plumbers enter a new site they must be provided with basic emergency information as way of induction which includes topics such as who is the Chief Warden, where are the fire blankets, hose reels & extinguishers located, where the emergency exits are (including during the construction process) and where the emergency assembly point is and more. Thank you for your question, we hope we have been helpful, if any of you have a question relating to OHS, WHS, new laws, safety training or services please email it to us at info@affa.net.au. The answers to this question were compiled by AFFA staff members who are safety industry experts, in consultation with Workcover NSW. The following table describes where each state is in the process of WHS harmonisation. Why does Victoria delay things like this?